Which sections are viewed the most across all of your proposals, and on average how long your clients spend viewing your proposals. 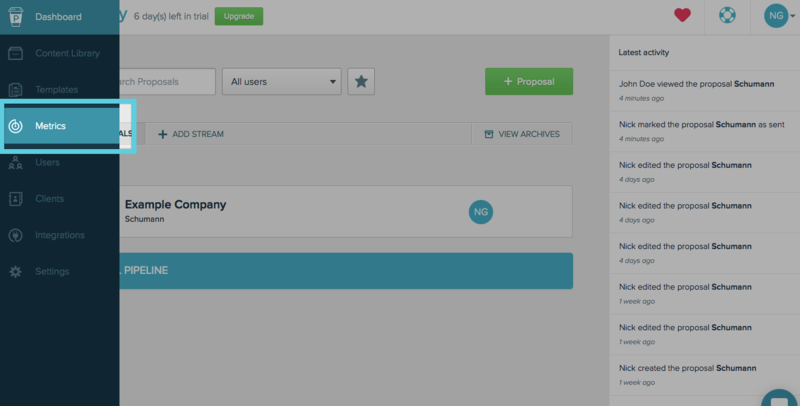 View metrics across all of your proposals can be found by going to the Metrics icon. From here, choosing “View Metrics” tab near the top. Average Time to View: On average, how long it takes your clients to initially view proposals after you've sent them. You can use this insight to reschedule Reminder Emails, for example. 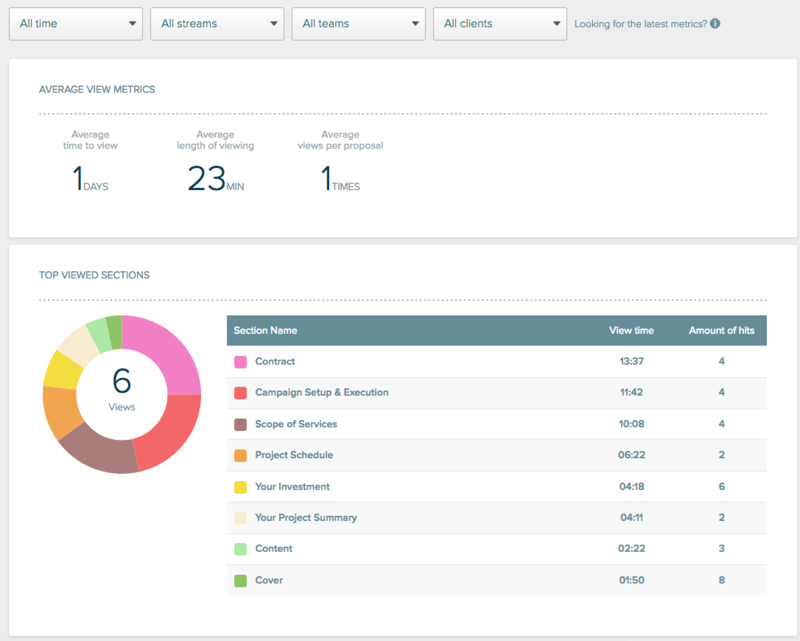 This shows you where your clients are spending most of their time viewing your proposals.